The food in L.A. is, as expected, delicious. Not only is there an incredible variety of cuisine, it is so easy to eat healthy, vegan, or vegetarian (not to mention gluten-free, dairy-free, etc.). Without a car, it has been tough to get to all of the places I wanted to try. But I have made an effort whenever possible to try the places that came highly recommended by friends and locals I have met while here. 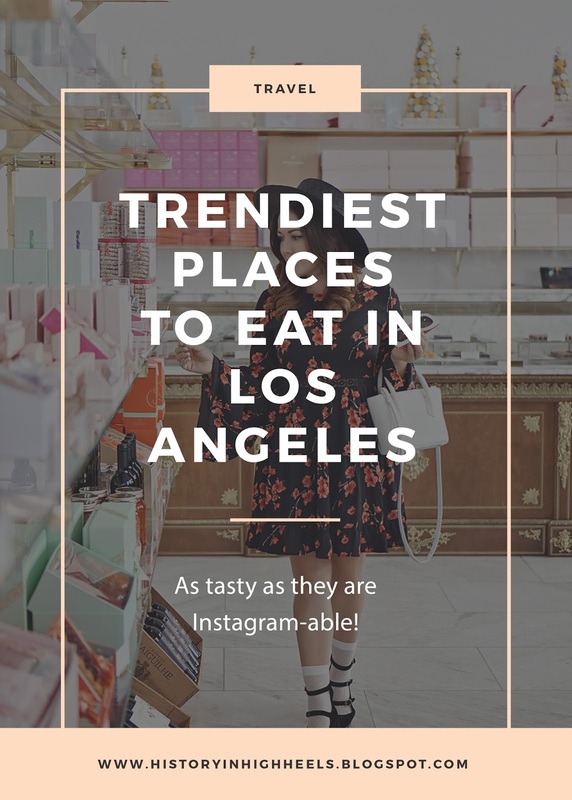 None of them disappointed, so I thought I would pass them along should you find yourself visiting the LA and/or Pasadena area. My favorite part about La-la-land is the attention to and love of design and aesthetic. Each of these places are as visually pleasing as they are delicious. Something that you will appreciate if you are really into Instagram (#guilty). The Raymond - Delicious seasonal cuisine served on a quaint patio. And they even do afternoon tea. The Home Brewed Bar - Cold brew teas and coffees in a very hip setting. Union - Modern take on Italian cuisine in Old Town Pasadena. Order anything made with the fresh burrata. Le Grande Orange Cafe - A great place for brunch in an old restored train station. Urth Caffe - Urth is super crunchy, but in a good way. Everything is organic, sustainable, and locally sourced. It is a great spot for a coffee and a sweet treat or lunch. Afternoon Tea at the Langham Huntington - A special thanks to Shiloh for taking me here. It is a delightful, and filling, afternoon tea. Market Provisions - They had me with bottomless mimosas for brunch! AOC - A sleek and trendy wine bar. Shaky Alibi - Great name, even better sweet and savory waffle combos. The Fountain Coffee Room - This little historic breakfast spot is tucked away inside the Beverly Hills Hotel. 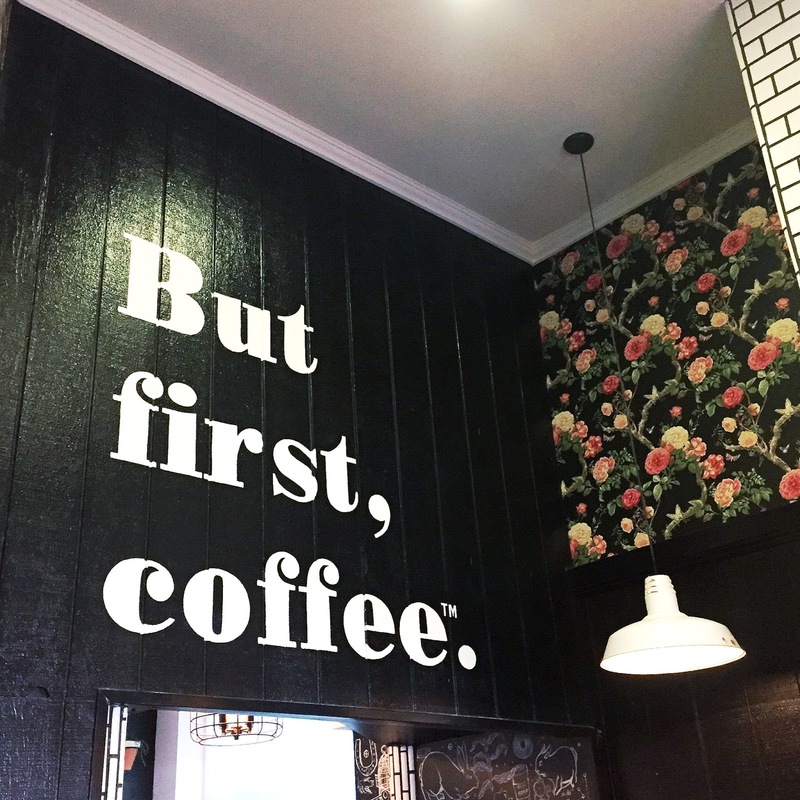 Alfred Coffee - Good coffee, even better decor. 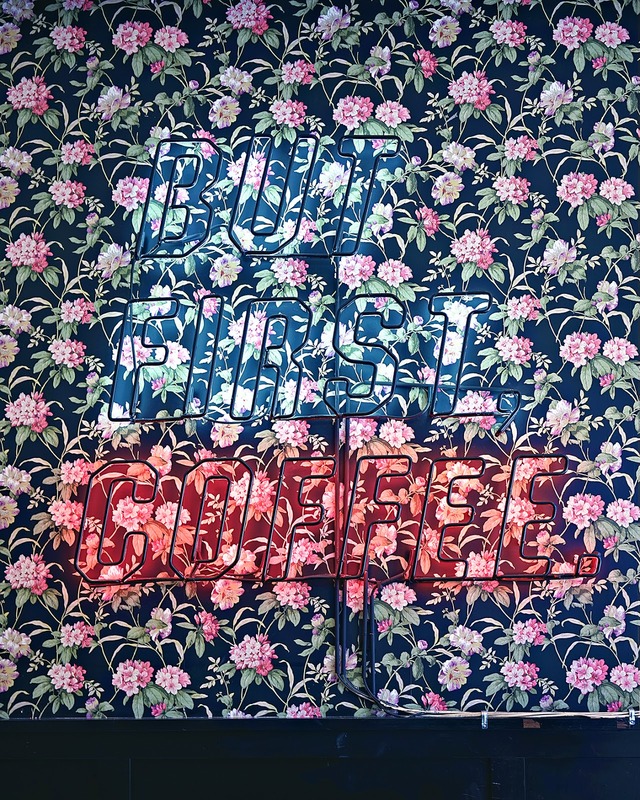 You have seen there famous "but first coffee" cups and neon signs all over Instagram. Alfred Tea - Same company, even better all-pink tea room. 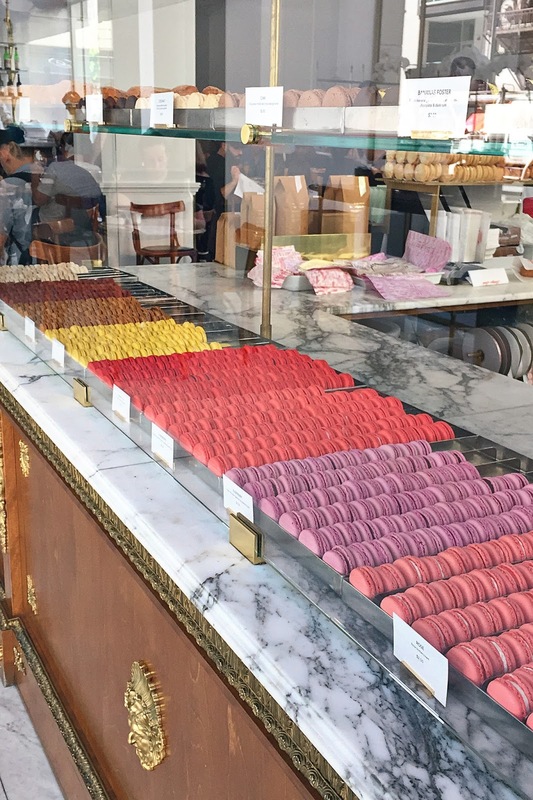 Bottega Louie - My favorite! You can read more here. Farmer's Market at the Grove - Lots of great food stands to try. One even has espresso in chocolate waffle cups. Mr. Holmes Bakehouse - "Get baked" at this famous San Fransisco bakery with a new LA location. You have to try the infamous "cruffin!" It is insta-famous for a reason. 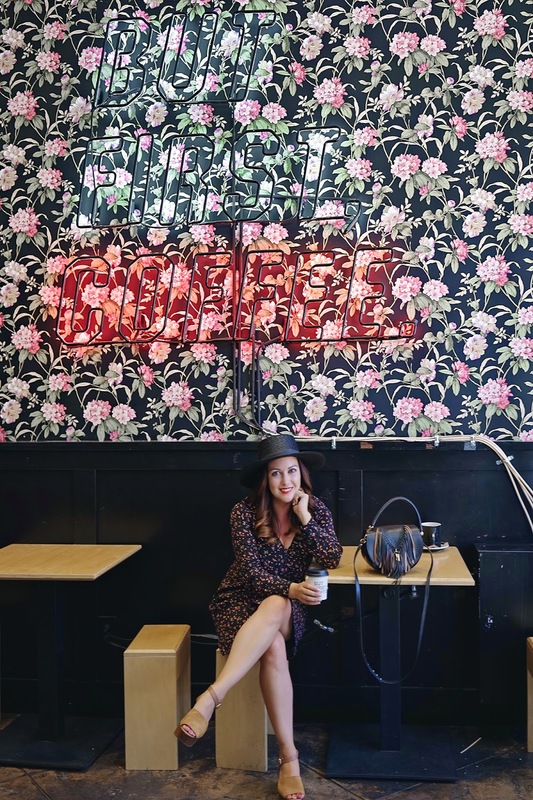 Civil Coffee - If you have this thing with floors, you will love Civil Coffee. The espresso is amazing too. And on a final note, if you don't use OpenTable, you definitely should start. It is the easiest way to search and find great places to eat and make reservations on the fly when traveling. I love that you earn points too. These points turn into discounts at select restaurants. 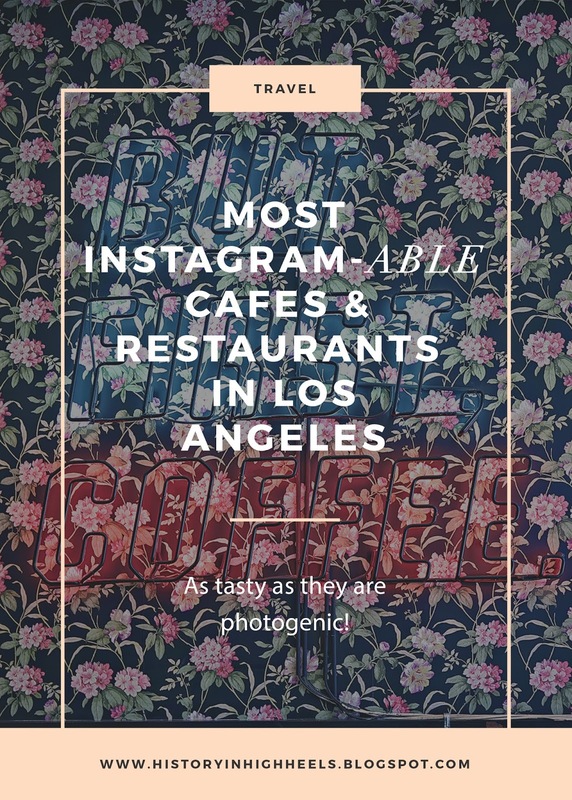 Please contribute your favorite L.A. spots below!